Audatex is one of the core brands of Solera Holdings. 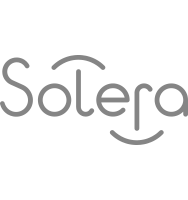 Solera’s companies employ more than 2,000 people in more than 60 countries across six continents and have a global network of more than 75,000 customers. Helmes has been working with Audatex in Europe, the United States, and Russia. Solera Audatex is a major global claims solutions provider serving the automotive industry, providing end-to-end claims solutions that connect insurers, repairers, vehicle manufacturers and other parties in the claims supply chain. In addition to its prominent position in the automotive claims sector in the United States, Canada, and more than 45 other countries, the company’s growing footprint extends to automotive-related financial services markets. Solera Audatex’s level of satisfaction with Helmes is high, cooperation is growing, and Helmes is pleased to be working with a client who has high-quality criteria. The project was launched in 2008 when Helmes responded to a regular sales proposal. Helmes was selected out of 500 custom software development companies by Audatex. Flexibility and reliability are the two most important qualities Audatex looks for in Helmes. Our knowledge and understanding of the financial, marketing and operational functions of an organization, and our knowledge of their business literacy are great advantages that are valued by our customer. Over the years Helmes has produced seven applications for the Audanet platform. Time limits are a challenge when working with Audatex. The fact that Audanet is updated every month and that all new implementations must be ready by that time gives Helmes a very tight time frame in which to work, but we manage to keep everything on schedule. Audanet is a unique web-based platform specifically designed to accommodate all the activities that take place along the claims journey. Hosted centrally by Audatex, Audanet is at the heart of a portfolio of services. Helmes is working with Solera Audatex on Audanet, which facilitates communication between insurance companies, repair shops, assessors, and others. The main product on Audanet enables insurance companies to send cases to assessors to estimate costs and to repair shops for mending. Calculations can be checked against rules defined by the insurance company. Also, various support modules are used. In the time we have been working together, Helmes has implemented several applications and web services for Solera Audatex. RulesCheck is one of our applications, which reduces claims costs and accelerates the claims handling process. No local software installation is needed. Helmes uses different forms of technology such as Microsoft, NET, JAVA, and Oracle to implement these applications and services. These best-in-class technology solutions and services help Solera Audatex automate their customer processes, manage millions of claims every year efficiently and effectively and resolve billions in claims settlements. It is flexible, scalable and secure – and designed to help you keep up with the demands of tomorrow. As a common platform, Audanet and its applications enable you to streamline your operations by automating time-consuming processes, thereby improving workflow management. "The Helmes team truly understand our business and its requirements. They ask the right questions." My team is an expert in developing an automation software. Let me know if you have a software challenge to solve! We can help.